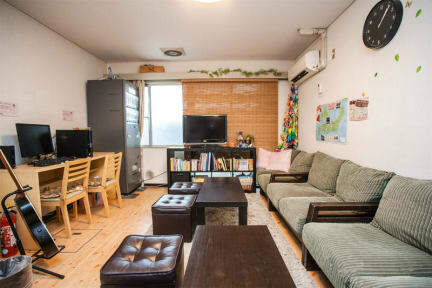 Hana hostel is close to Hiroshima station (just a 5 minute walk). The dorm rooms sleep 4 people and they also have private rooms. Kitchen on the first floor always busy because of families cooking there. Common area on 5th floor had a tv and dvd's. Not really a social hostel. You hear the trains, but not at night. Free coffee and tea. You can Rent a towel and other supplies of you want.